Increase awareness with some of these compact full colour printed re-usable tote bags! Create a stunning design that will turn heads at the grocery store! 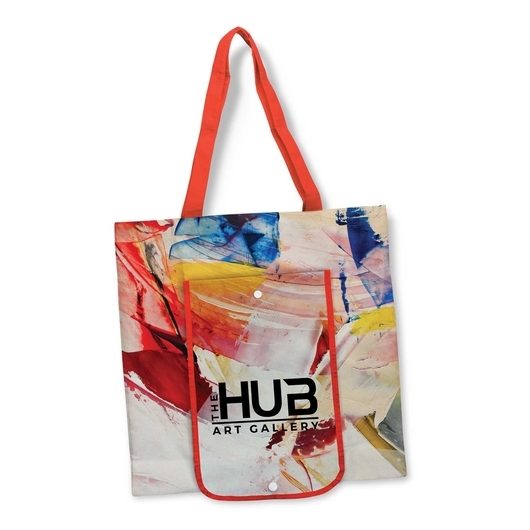 These 140gsm cotton tote bags fold down into a snap closure pouch when not in use and feature a front storage pocket when opened. 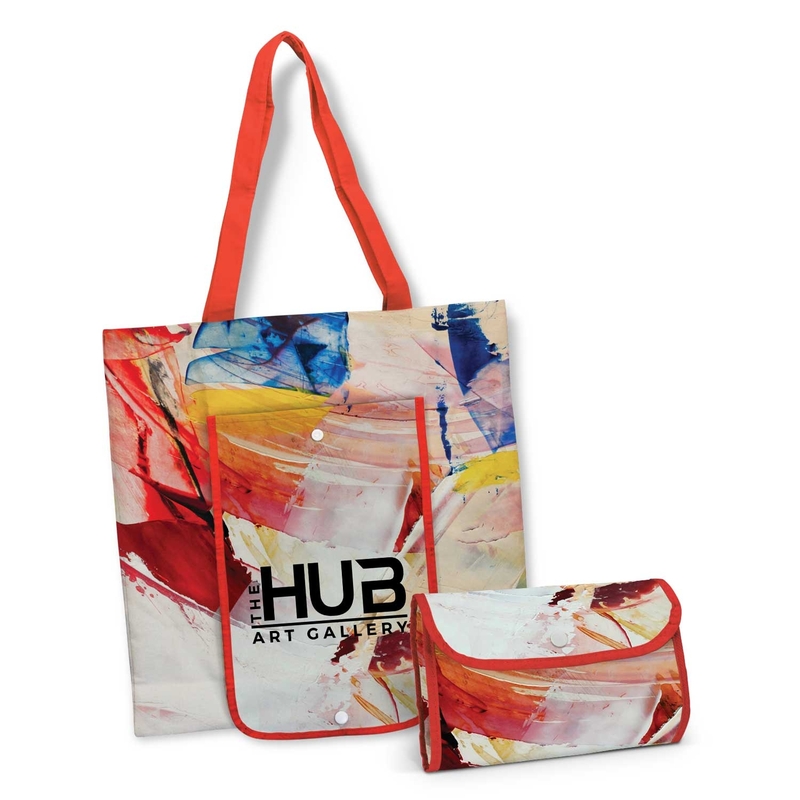 These totes are full customisable with full colour branding on both sides as well as the snap closure pocket. 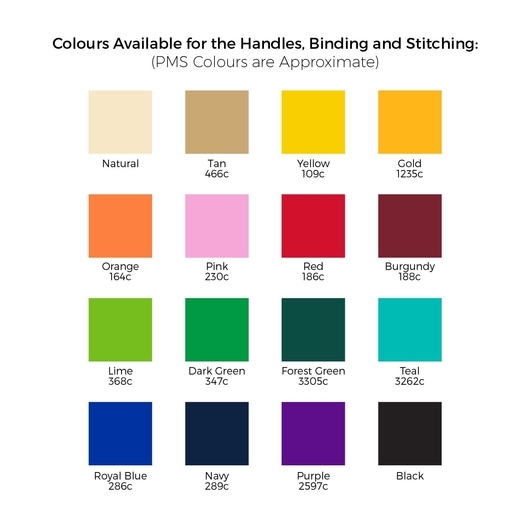 The handles, binding and stitching are available in 16 colours which will all match unless otherwise requested. A must have for your next trip to the shops!